On June 11, the Worcester Police Department received information about a two-car accident that involved a hit-and-run driver. This information was called into the department at 10:00 p.m. and occurred on the 1st block of Vernon Street. Dispatchers sent emergency responders to the scene quickly, and fire and police crews responded. Once arriving at the accident, first responders administered medical care for injuries that one victim had sustained in the crash. The extent of their injuries is still under review, and no fatalities were reported. The crash remains under investigation, and police are looking for the driver who fled the scene. Statements were taken from witnesses and the victim. A hit-and-run accident can be a devastating event in a victim’s life. While all accidents put other people at risk, a hit-and-run accident can leave victims behind to suffer from injuries and not receive the emergency care they need. 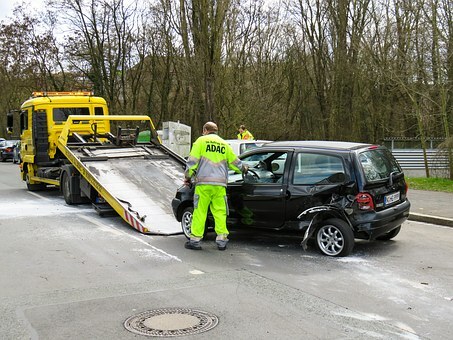 Drivers who are involved in accidents and then leave the scene are acting in a criminal matter. Victims do not deserve to be treated so carelessly, and they can seek to recover their losses when these accidents occur. It can be difficult to understand why people choose to act recklessly and carelessly when behind the wheel. Hit-and-run drivers are putting other people at risk, and they could be leaving victims behind to suffer. Fleeing the scene of an accident is a serious thing to do, and it is also a criminal activity. Victims who are harmed in these collisions can seek to recover their rights so they can focus on healing from their injuries and returning to their lives as normal. We at the Law Offices of Jeffrey S. Glassman are extremely aware of how serious some car accidents can be as we see the result of these incidents as we help victims suffering from these collisions. As members of this community, we try our best to raise awareness and do our part to keep our roads safe from negligent driving. However, we know that accidents do happen, and, when they occur, we are also committed to helping victims who are seeking recovery and assistance.